I had heard that the Eastside Cycles group ride was a “spirited” ride so it wasn’t a total surprise when I was drooling on my top tube only 15’ into the ride. Drooling always makes a good first impression right? The pre-ride email mentioned a route that included the Dry Creek descent, which I had never done, so I was motivated to hang on for dear life in order to follow the group down Dry Creek. I succeeded…barely. 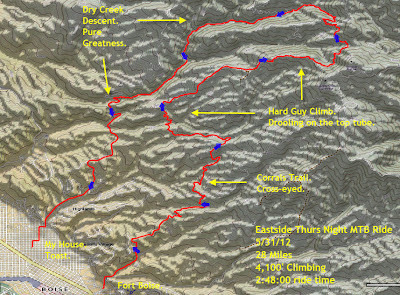 The combo of Military Reserve Connector + Corrals + Hard Guy was 1:45:00 of almost non-stop climbing and I saw a high HR that I haven’t seen in a very long time. I have no delusions about my lack of natural ability as a XC racer but last night was a bit humbling. As I was absolutely pinned on the steeper sections of Corrals, the guys ahead of me were having a conversation like it was the neutral rollout. A healthy dose or riding with these guys would make me faster. Period. How was Dry Creek? Incredible. It was well worth the effort to get there and it is so different than anything else I have ridden in Boise. 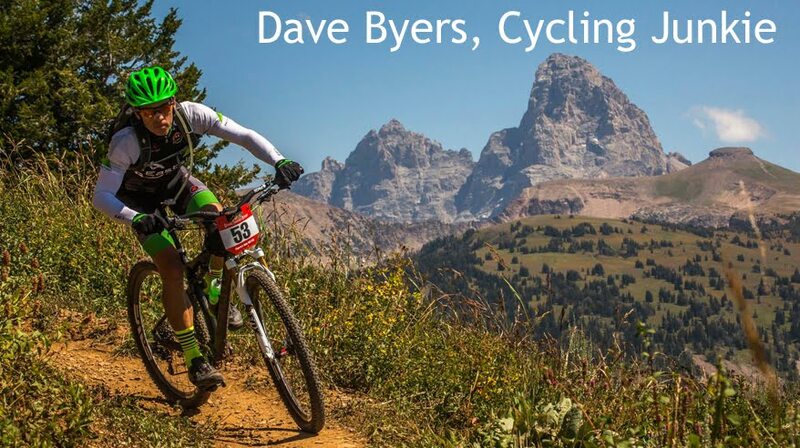 The upper section reminded me of the Tire Mountain singletrack in the Cream Puff. 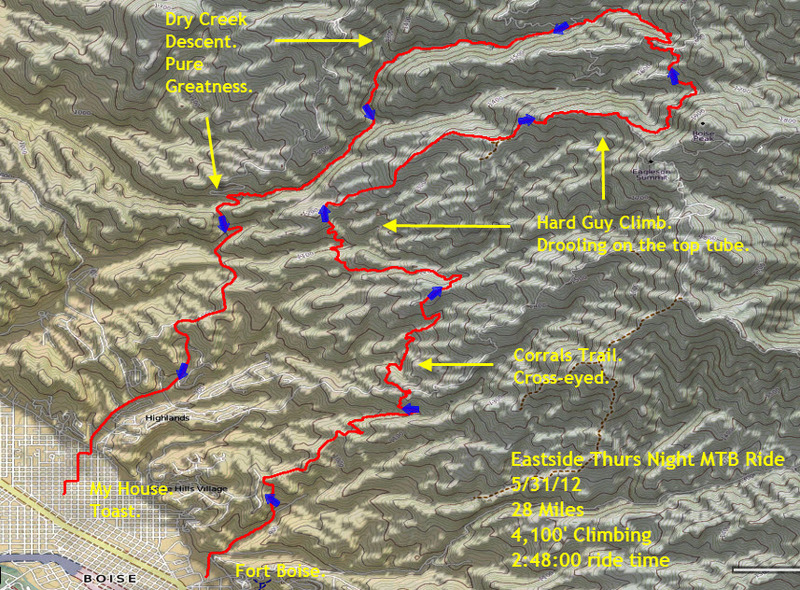 Dry Creek is roughly 6.5 miles of mostly descending and isn’t on a map. The trail beavers have been busy building log skinnies across most of the creek crossings so you can practice your trials moves. Many of them have high consequence if you fall off. Thanks for the dose of humility and a great ride fellas.